Some people take a spa holiday to reenergize, some to get thoroughly pampered and some go for the therapeutic treatments to strengthen body and soul. Of course, it helps the whole experience if your accommodation is first rate. Inspirational surroundings would help too! If you are looking for something truly spectacular to go with your spa holiday, what about a stay in a historic Indian palace, living the life of the maharajas as you indulge in exotic treatments and taste gourmet spa cuisine. Before British rule, India was made up of a patchwork of princely states, ruled by local maharajas who revelled in building splendid palaces, combining sublime architecture with glimmering pools, elegant gardens and graceful pavillions. Although these principalities have now all been incorporated into the modern state of India, their heritage remains, and many fine Indian palaces have now been converted into luxury hotels pavillions. Two of the finest are near the pink sandstone city of Jaipur in the north-west Indian state of Rajasthan. The Rambagh Palace is eight kilometres from the city walls and was built in 1835 as a royal guesthouse, later being used as a hunting lodge and royal palace for the Maharaja of Jaipur. Peacocks proudly strut around its lawns and courtyards and the guestrooms are opulently furnished with rich silks and drapes in north-west Indian state of Rajasthan. 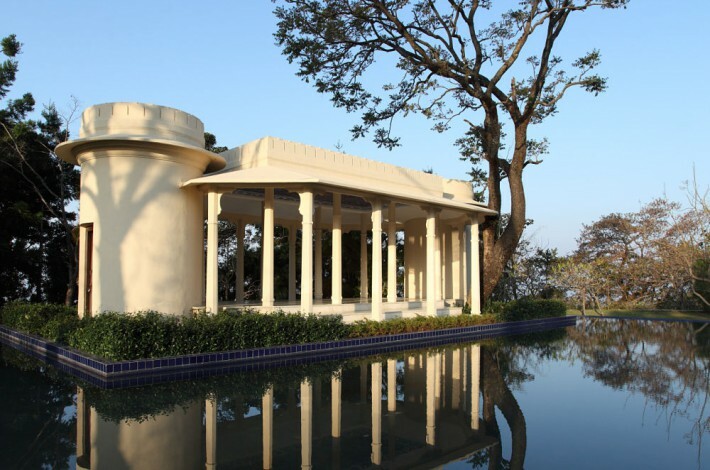 The Oberoi Rajvilas occupies a former princely fort and is surrounded by the Rajasthan countryside. Luxurious rooms are clustered around private courtyards and the manicured gardens are dotted with tranquil reflection pools and pavillions. Of course, both have excellent spa centres, where you can indulge yourself with the latest in body treatments or sample a course of ancient Indian ayurvedic therapies. If this sounds like your idea of heaven, call our expert travel advisors on centres, where you can indulge yourself with the latest in body treatments or sample a course of ancient Indian ayurvedic therapies. If this sounds like your idea of heaven, please visit Sanctuary Spa Holidays or call our expert travel advisors on 01293 229 895 to find out more about these spectacular Indian spa retreats. << What makes yoga so good for you?